There is no denying that this beard was kissed by fire. The reddest beard in Westeros definitely stands out amongst the rest, and is most assuredly the sweetest beard in the North. And to be 100% honest He looks super weird without the beard. This beard has been cultivating for many years, and surely would have been in the running for years past as well. Please sir don’t ever shave this majestic beast. I feel a disturbance on the clean shaven farm boy face. Love or hate The Last Jedi, there is no denying Mark Hamill sports one hell of a beard. It added a grizzled look to the character, which fits who he has become so well. Apparently the beard even surprised Hamill, and I may say he did a wonderful job growing out the beard for the role. Sometimes the great beards belong to the crazy hermits drink weird blue concoctions. Jason Momoa, my God does that man know how to rock a beard. He is well known for his bearded roles, Khal Drogo was fairly epic in it’s own right. But Aquaman seriously needed some butching up, and the beard was perfect for that. Plus it looked *fantastic* underwater…..
A dark horse in this epic Beard-off, but a contender nonetheless. Soupcan Sam was a well known disguise for Shawn in the original Series. In the movie he took it a step farther, and transformed it into an epic Hagrid beard. Which of course he stole from Gus. Psych is back y’all! 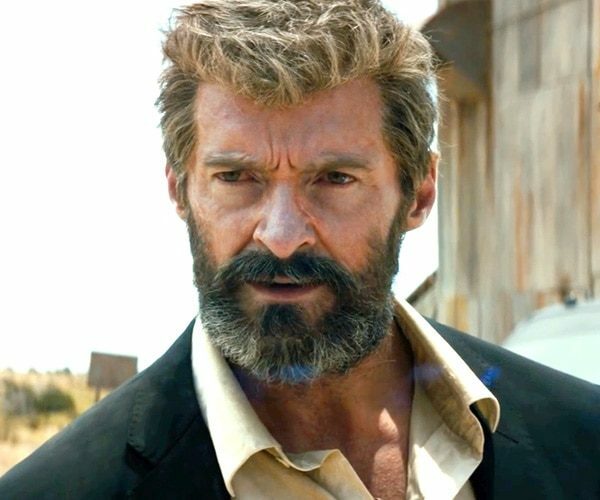 The beard that Started 2017, Hugh Jackman brought a more weathered beard to Logan then previous roles. It gave him a more careworn and tired appearance, which I thought fit the characters frame of mind well. He went on a Berserker Rage slicing, dicing, snikting, and snakting this beard into perfection. You gotta give it up for the first epic beard of the year. Where has Jim Carrey been? Apparently growing this majestic creature on his face. That thing is a raging ball of energy and power. Sporting this follicle masterpiece in the documentary Jim and Andy on Netflix. Watch for the beautiful chin cover stay for the amazing documentary. There you have it folks, those are this week’s combatants. Vote for your favorite Bearded Man of 2017. Also, if you want to see why we chose who we did then make sure to listen to this week’s podcast. You can find it either at Podcasts.com or YouTube. Heck, while your there you can even subscribe and that way you’ll know when our next podcast is airing. Voting goes until January 19th, 11:59:59 PM PST. So, don’t dilly dally. Get your vote in and help give someone on the podcast bragging rights for this week. Who Sported the most Epic Beard of 2017?